Swedish game studio Ludosity who have been working for awhile on their latest game Ittle Dew have finally made it available for Android gamers to enjoy on their smartphones and tablets. 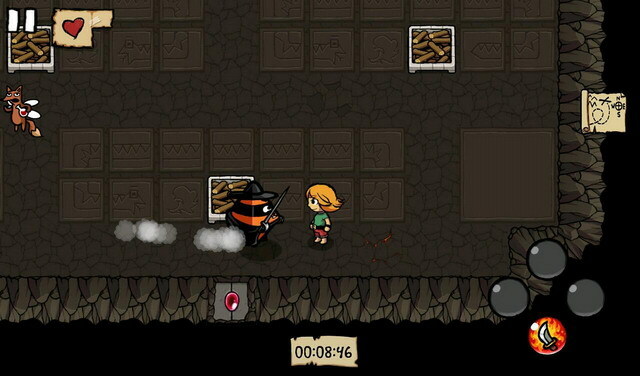 Ittle Dew is a puzzle adventure game that combines dungeon crawling and RPG elements with the fun mechanics of the Zelda franchise. 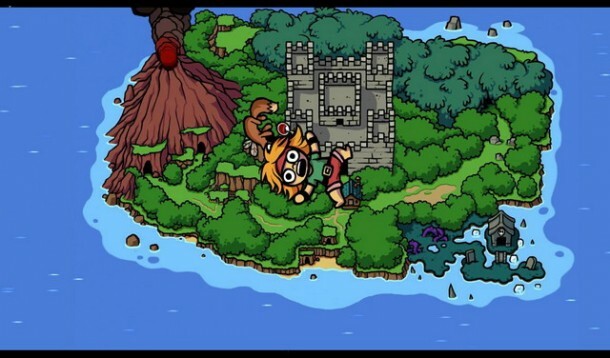 The adventures start off when the pirate duo of Ittle Dew and her sidekick, the flying magical fox Tippsie crash onto an island that’s filled with loot and inhabited by strange residents. You see Ittle has a thing for loot and she’s willing to go to any lengths (solve puzzles, fight deadly battles, and hit just about everything she can) to get her hands on it. Tippsie on the other hand happily tags along and offers hints and moral support whenever required. Together, the duo must solve cleverly designed puzzles, hack and slash the inhabitants, and collect items and other gear along the way before reaching the loot. Although the game only features three items or weapons, there are apparently hundreds of ways in which you can combine these items and use them in the most creative ways to accomplish the task. Ittle Dew also features plenty of secrets and shortcuts that you can use in ingenious ways to complete the game. The entire explorative journey is interspersed with sharp and fun dialogs that doesn’t hesitate to poke at its similarity to The Legend of Zelda. 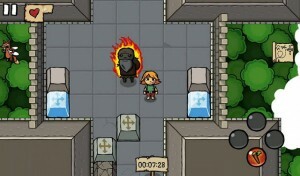 Fun, adventure, puzzle elements, dungeon crawling and humor… Ittle Dew offers all this and more for the price of $3.00.